All of Reggaemani’s lists collecting best of 2014 are now published – top 50 reggae tunes, top 30 reggae albums, ten favourite reissues and five mighty fine EP’s. So, what will happen musically in 2015? 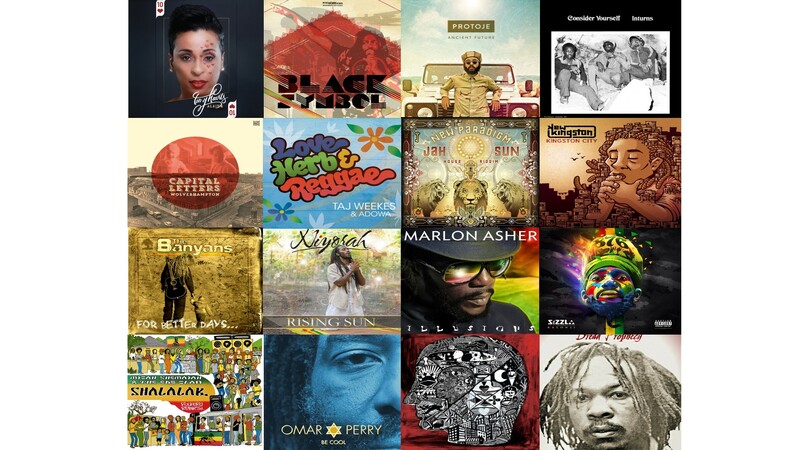 Judging from upcoming album releases I have heard about it could be a great year for reggae music. There are a number of big releases ahead and to be honest I’m quite excited, particularly about full-length studio sets from Queen Ifrica, Lutan Fyah, Uprising Roots Band, Randy Valentine, Taj Weekes, Sizzla and Protoje. There are also some big compilations coming up. I’m especially looking forward to the ones covering material from Black Symbol, Yabby You and Tarrus Riley’s father Jimmy Riley. Below is a list covering all album releases I have heard about. Some are confirmed, while some are rumours and some not yet scheduled. Check the full list and you’ll hopefully be as wound up as I am. Reissue of this great album produced by Phil Pratt. Follows his excellent Rise as One album released in 2013. Best known for his Ganja Farmer, this Trinidadian singer is now set to release his third album produced by Clear Port. Will include 12 songs and guest appearances by members of Tribal Seeds, Kimie Hawaii, Sister Carol, The Wailing Souls, and the late, great reggae legend Sugar Minott. First single Sleep on It was released in December. Originally released in 1980 and produced by Earl Morgan of The Heptones. Second album from this French roots band. Producers from Denmark, the Virgin Islands, Austria, Puerto Rico, Hawaii, France, New Zealand and Morocco have come together for this album. Produced by Sly & Robbie and mixed by Dub-Stuy crew from New York. Reggae in a Ghanaian style. Three disc compilation covering many aspects of this reggae legend. First all new Capital Letters album in 30 years. It looks like Exco Levi finally will drop his debut album. Compilation of mostly self-productions from 1975 to 1984. Second album from this reliable Jamaican producer and singer. French band ready to release their second album. Produced by Prince Fatty and includes guest stars like Tippa Irie and Horseman. British reggae band that called themselves Zion Band in their early years. Partly a crowd-funded effort that was supposed to be released last year. The album title refers to Jamaica’s telephone area code and the set is partly produced by Vychalle Singh of 868 Music, who was one of the producers behind The Messiah. Here I Stand – first single off the album – was released last year and it had a rhythm leaning towards tango and blues. Second studio album from this UK singer who released his first single more than 35 years ago. Compilation collecting vintage UK reggae. Originally slated for release in 2014. Recorded and mixed using analogue equipment and vintage techniques. Hits the streets in the second half of 2015. Greek producer that blends reggae with hip-hop and electro-fuelled styles. First single Settle Down features vocals by Jamaican/Canadian singer Exco Levi. Signed with VP last year and is expected to drop his debut set during 2015. Follow up to his excellent Masterpiece album. Hits the streets in the second quarter. First single Stunta was released last year. Dub counterpart to the excellent Rasta Communication. French reissue label releases a new album from legendary singer Kiddus I. Originally slated for release in 2014, but might have been postponed because Lutan Fyah released two other sets that year. Compilation of singles from this 80s UK reggae band. Several singles from this project have already been released, including the mighty Shotta. The two singles Stylin’ and Who Known, featuring Chronixx, have put the bar quite high. It has been kind of quiet from Queen Ifrica lately and hopefully she will put out the follow up to her acclaimed Montego Bay album, released in 2009. Follow up to his smooth album The System, released in 2012. Second album from this Virgin Islands-based singer. Originally scheduled for release in 2011, but has been postponed again and again. Hopefully this year since the wicked single Rock Stone was dropped last year. The CD and digital release was in 2014. Two singles from this album dropped last year – Might Can’t Beat Right and Trench Town. The vinyl was put out in 2014. Another volume in this exciting series. Partly produced by Micah Shemaiah with artists from the Jah Ova Evil spiritual and musical movement. Reissue of their debut album, including bonus material. Debut album from this French singjay.